The Little Giant marine air conditioner pump can handle any conditions you can throw at it. It is Mermaid Manufacturing’s standard continuously flowing pump designed for single unit applications at 500 gallons per hour. The Little Giant is compatible with all Mermaid units. This pump is designed to be used with a six foot or less vertical lift and 15 feet or less of hose. Every 10 feet of hose represents one foot of vertical lift. Your pump is waiting for you! All units are in stock and ready to ship to you, complete with our 1-year warranty. 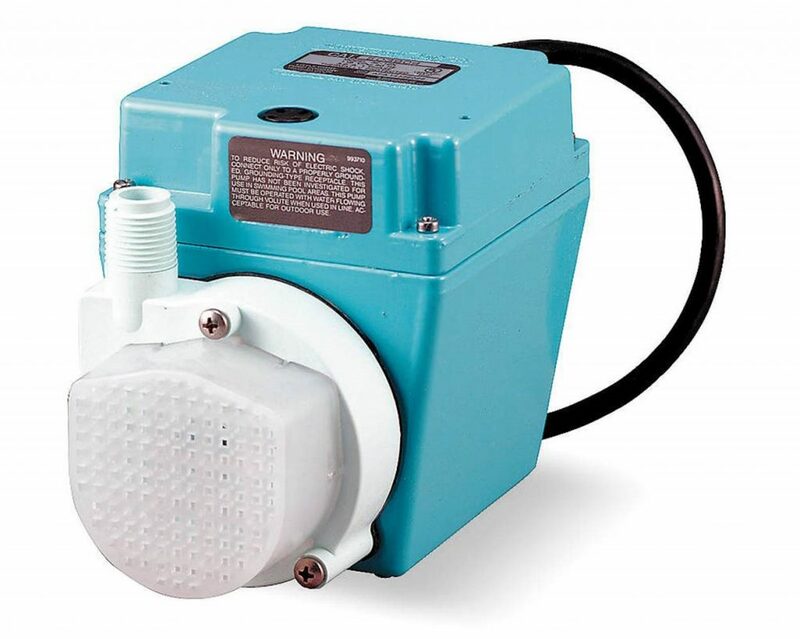 Pumps are available in both 110V or 220V varieties. You can hire an authorized service technician to install the Little Giant, but it is so easy to put in that over half of our customers install it themselves. If you choose the DIY route, remember that you can always call us for help along the way. All Mermaid Manufacturing products are designed and manufactured in-house by our skilled engineers and technicians. We sell between 230-260 Little Giant marine air conditioner pumps every year to a wide variety of people for a wider variety of vessels. Let us welcome you to the Mermaid Manufacturing family today.